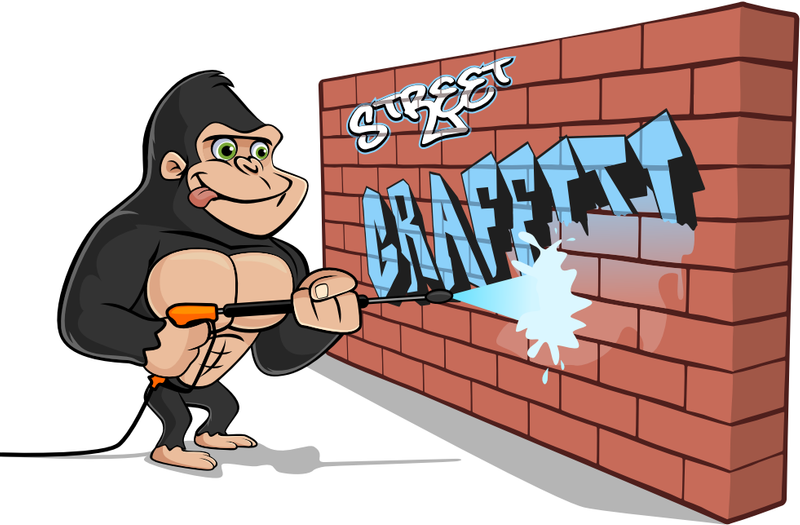 Gorilla Property Services offers the top 6 services in the exterior property maintenance industry: gutter cleaning, pressure washing, graffiti removal, roof cleaning, window cleaning and salting/snow cleaning. For minimal start-up costs, you can become your own boss! The cleaning and building maintenance industry is a multi-billion dollar industry. The amount of growth and services required has exploded, to put it mildly. 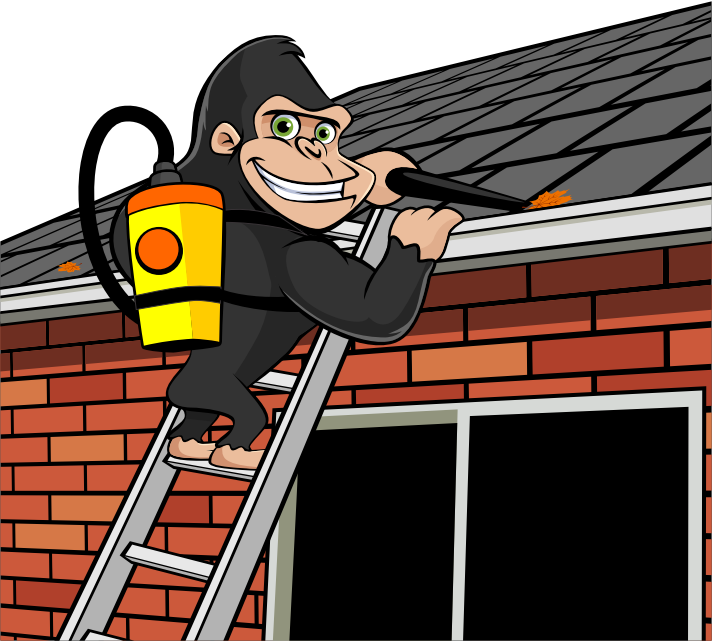 Generally, most window cleaning franchises appeal to people because of the low overhead and minimal start-up costs. It can be run from a home office and supplies and tools are usually a minimal cost. 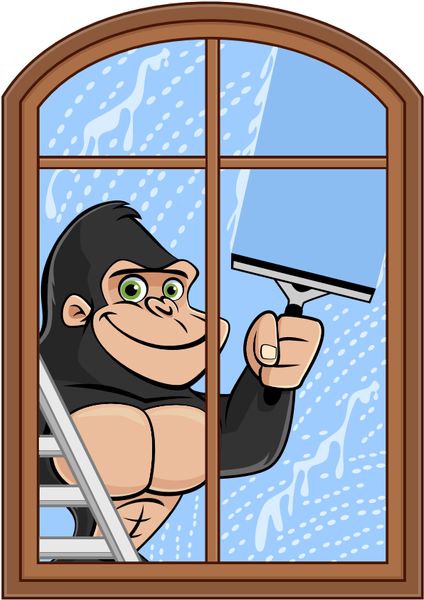 At Gorilla, we have diversified the company from becoming not just a “Window Cleaning Company”, but being the industries “Total Package”, honing in on and perfecting all aspects of the Top 6 services in the exterior property maintenance industry… You’re gonna love it! Our large happy Gorilla, along with the cool, fun looking trucks, it’s almost impossible not to look at and smile. Combined with our 604-GORILLA phone number along with the National 1-800 # makes a strong first impression with everyone. Our teams can literally park the “Monkey Truck”, start a job, and customers will call. It’s almost that easy. Almost! Our marketing teams “Out of the Box” styles combined with the traditional standard types of marketing (PR, social media, online and print) is how we’ve grown this company and fine-tuned ourselves into a well-oiled machine. The Gorilla Call Centre is the heart of the day to day operations. Receiving phone calls and emails then dispatching them accordingly to each territory is a huge weight off of our franchisees shoulders. The Gorilla Call Centre can provide a quick estimate to the client over the phone (for smaller jobs) which saves time and money for our franchisees. Larger projects that require an onsite walk around and formal proposal are scheduled with the franchisee and the client, allowing the personal touch and face to face with the client. Gorilla’s support does not end once the training is complete. We want our franchisees to know that they always have a team behind them. Our ongoing support, training and coaching are the key elements for growth. Once our franchisees have completed the initial field and clerical training, they will be ready to go! Not sure about something or have a quick question? No problem, our Gorilla Call Centre is there for you. 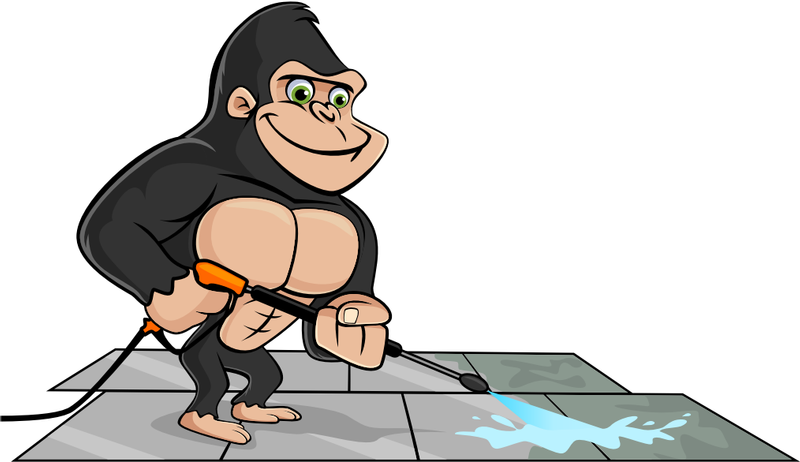 A Gorilla Property Services franchise can be started for less than $40K (franchise fee included), depending on the size of the territory. Working with the franchisee and tailoring the packages to their vision is a key element for start-up. We have every aspect covered that you will need to start your territory launch. Safety training, clerical, sales, field work, quality control and territory growth are just a few of the key elements you will learn during your 2-3 week training period. As the owner of the franchise, you will face many challenges as your business grows. Learning how to handle growth, how to budget expenses, how to hire employees, ensuring the safety procedures are followed and so forth are just a few of the challenges you’ll tackle. Our franchise structure provides you with the guidance and training required to not only grow the business, but to grow it properly. Discover our other concepts, Eenie Meenie Miny Mow! and Toodaloo. © 2019 Canada Franchise Opportunities All rights reserved. Web agency Vortex Solution.